Many streets are shut and empty before protest rally. but the sky is full of sand over entrance of city. 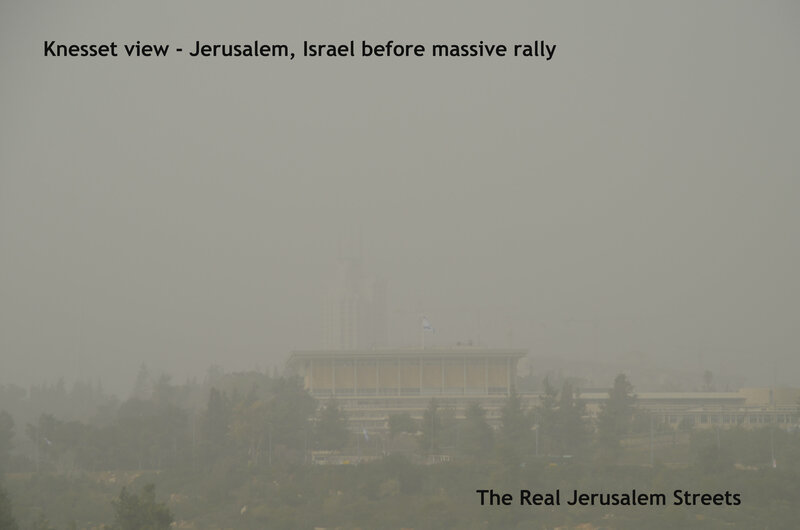 Not the best day to visit Jerusalem, Israel.